I'm working to catch up with those books from the awards list that I haven't read. Because of all of you sharing so many you loved, I actually had read quite a few. Some of my favorites did receive some honors and some did not. Nevertheless, I still love each one. Five of the seven books I'm sharing today are based on true stories! Two things: The Cybils' Awards will be announced on Valentine's Day. Remember that NF10for10 hosted by Cathy Mere and Mandy Robek will happen next Sunday, February 10th! It's the seventh year! Here's the link about HOW if you're interested! My second #MustReadin2019 book read! Front Desk tells the story of a young Chinese immigrant, fifth-grader Mia Tang. She inspires as she shows the persistence in doing great work and the courage to make things right for everyone. For a young girl, no matter the conflicts with her mother, it's clear that her parents' values have been passed on to her. She cares about them very much. It won the 2019 Asian Pacific American Award for Literature! Mia and her parents thought they had a dream job when they were hired to manage the Calivista Motel. They had been in America a couple of years and spent some of that time living in a car! Now they live in a small room behind the front office. Hired by the rich and cruel Mr. Yao, the family works hours cleaning rooms, fixing problems, and managing the front desk. Mr. Yao continues to take more money from the profits and his son, Jason, seems as mean as his father and bullies Mia at school. Sadly, they have ended up in the same class and are stereotyped because they're the only Chinese kids there. Luckily Mia does meet one friend, Lupe, and both support each other to, as Lupe explains, get off the bad roller coaster (of poverty) and onto the good one. Lupe also explains that being successful in America means having a living room without a bed in it. These girls understand very well the truth of things and want their lives to be different. I also loved the small bits of Chinese culture that were included in the story, like the excitement when something comes up in a lucky number. We do less of that here in the U.S., but I still am superstitious about the number 13, per a grandfather's beliefs. This is Kelly Yang's debut book. 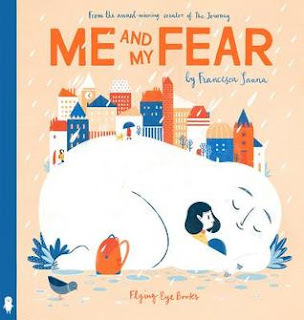 When I read her note at the end, I was sad to see that not only was the story a tough one to read about new immigrants here, but much is autobiographical. Mia certainly doesn't give up and as she also supports her new friends, "the weeklies" (those who stay at the motel as their home), she learns just how strong she can be when challenged. She might be scared or sad inside, but she does not quit! There are good and bad people in the story set in the 1990s that include persons of color and those living in poverty. Mia faces extortion, fraud, and racism and tries hard to realize one impossible dream. I can't tell what happens, yet the way Yang shows Mia's learning as she learns to write powerful letters and tell powerful stories is so special and enlightening to see. I imagine other students will love that, too, perhaps especially those who are English language learners. Yang adds alarming information on Chinese immigration to America in an author’s note along with her own personal experiences. It's a terrific book. A special story in another culture, told by Margarita Engle, her daughter Nicole Karanjit, and Nicole's husband, Amish who really did survive Nepal's 2015 earthquake and fed their mother's festival feast to a stray dog called Haku, which means 'black'. Among other parts of the tradition, this centers on the action of finding stray dogs to feed them in order to thank rescue dogs for helping find people buried in the earthquake's rubble. Ruth Jeyaveeran's illustrations are beautifully colorful with so many details of children and adults celebrating this festival. It is another festival of light with lanterns lit and fireworks sparkling. What a great story to introduce another culture's ways of being grateful for their lives. 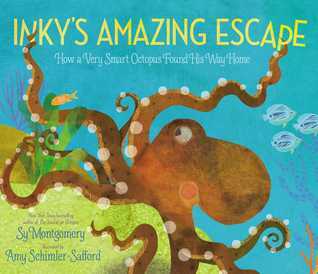 Sy Montgomery tells the story of Inky from birth to "escape", one based on a real Inky that includes much about octopus lives, how they begin no bigger than a grain of rice, but are sent out into the world to survive by themselves! Those suckers help them feel and taste and are strong enough to pull a clam apart! Inky's story parallels other octopuses in the world of aquariums. They can squeeze into or through amazingly tiny spaces. More is included in an end note with a page of other fascinating facts about octopuses. Amy Schimler-Safford's pages are filled with details, of the ocean creatures Inky encounters and eats or hides from along with the later adventure in an aquarium. I enjoyed it very much, know it would be a great pairing with the recent book by Irene Latham, Love, Agnes. Thank you to whoever shared this so I could read it, too. Told by Deborah Mills with Alfredo Alva, whose story it really is, a real-life border crossing with his father at age eight. 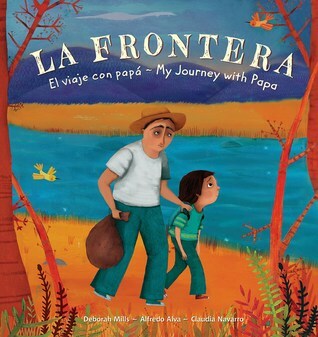 It's told in Spanish and English, the things you've heard: the father can no longer feed his family and decides to take his oldest to try to get to America. He is betrayed by the Coyote who takes all the money, but does manage to get across and connect with a friend who takes him to the official embassy. Unlike those today, he was fortunate because this was when President Reagan gave amnesty to illegal immigrants, a real path to citizenship. The sadness of what they left, the hardships walking so far, fearful of scorpions and other creatures, and the eventual reunion is there. There is added information at the back and a wonderful photo of the entire Alva family. Everyone needs to read this story, and it will be wonderful for those who've had such experiences to hear and see it. Claudia Navarro shows all shades of this emotional journey in the dark and light colors of her illustrations. What a wonderful and warm bedtime story this would be. Z finds a note in a floating bottle but can read only the end, "Love, Beatrice". The time to find the meaning of 'love', ends in quite an adventure and the answer! It cannot be easy to show emotion in robots, but Jessie Sima manages that very well as Z moves through the adventurous day with a cat friend. Full-color pages show all kinds of creatures, including children, that Z visits to ask about 'love'. It is a 'loving' story! A beautiful way to talk about fear, this time a young girl introduces "it" as a "body", a "pet". It's clear that "fear" holds her tight. She is an immigrant, lonely, cannot understand anyone and they cannot understand her. Some breakthrough moments help, including one kind act by a young boy. That fear creation by Francesca Sanna feels brilliant to me, filling this girl's life, though one way to look at it is that FEAR also keeps her from doing things, as she says while telling the story, "Fear keeps me all to herself." I imagine this will spark much conversation among children if only "Fear" will let them speak. Written by Jessica and her husband Patrick (both injured in the Boston Marathon bombing), but this book is about Rescue & Jessica as the title says. Both Rescue and Jessica tell their stories, the tough times when trainers decided that Rescue would not be a good seeing-eye dog and when Jessica learned she was going to lose a leg. With lots of support, they became a pair and when Jessica lost that second leg, Rescue was right there, helping and nurturing. 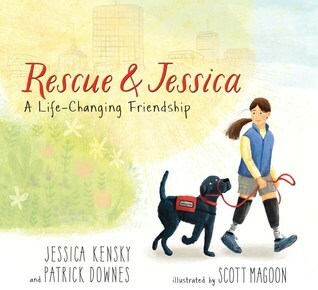 It's a good story that gives some facts like the colors that dogs-in-training wear (blue), or service dogs wear (red) and the illustrator Scott Magoon shows the different challenges Jessica has and the ways where Rescue helps. For younger readers who will be interested in how this all works. There is added information at the end. Now Reading: The Book of Boy, a new Newbery honor book by Catherine Gilbert Murdock and illustrated by Ian Schoenherr. This is an adventure that does not stop! I didn't yet have La Frontera and A Dog Named Haku on my TBR list, so I'm happy to add those. And I love reading your review of Front Desk, Linda. It was definitely one of my favorites from this past year. I was so thrilled for Kelly Yang! I will need to start rounding up any books I haven't yet read that won honors/awards. I see you're reading The Book of Boy, so I'll look forward to hearing more about that since I haven't yet read it. Have a wonderful week! Glad to add to your list, Shaye (tehe). Our lists do grow every Monday! Yes, I adored Front Desk, and am enjoying The Book of Boy, a totally different read! Thanks! I have Love, Z on my post today, too. What a cute book. I was able to request all of the rest of your picture books from the library. Hopefully they'll be ready before the next round of winter weather comes our way. Thanks for sharing these awesome titles. Have a great week! I saw that you shared Love, Z too. It is darling. Happy to share some titles to you, Jana. Enjoy! We read some of the same books this week! I adored Front Desk. As I read it I thought about all my students whose families were struggling with their new businesses and how many of them had to help out. Inky's Amazing Escape is one I plan to track down. Hurrah! my library has it. I think kids learn quite a lot by helping out, but when they're struggling with needing money for food, etc., that makes me sad. Enjoy knowing about "Inky", Cheriee! A Dog Named Haku sounds amazing. I put a hold on Love, Z at my library after reading about it in another #imwayr post. I hope to get it before Valentine's. 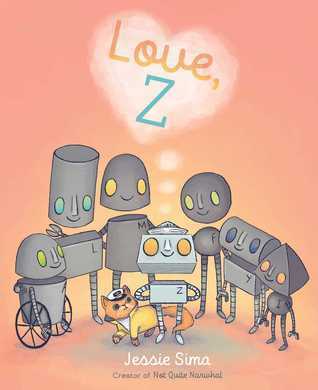 I recently got Robot in Love which is an unlikely love story. Yes, "Love, Z" will be wonderful for Valentine's Day! 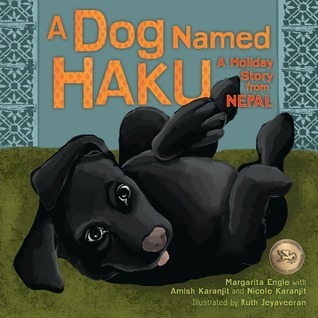 A Dog Named Haku was a sweet story & so filled with traditions new to me. I hope you like both, Lisa. I'm so glad you loved Front Desk! It is a special book! Thanks, Kellee, hope you find some of these and love them, too. I've only read two of the titles you shared - Front Desk and La Frontera which I thought you had recommended (must have been someone else. They're both great titles. I enjoyed The Book of Boy, curious to know see how students will think respond to it. It reminded me a bit of The Inquisitor's Tale. I'm off to request the other titles. You keep my request shelf full. Nope, not me. I don't know where I got it from, Ramona. I did love Front Desk, too! I'm nearly done with The Book of Boy, & know it will be a particular kind of reader for it. I've found it very readable & keeping my curiosity, but for young readers, don't know. Thanks, Ramona! Thanks, Sue, I'm sure I will. Wishing you a good reading week, too! I loved Rescue and Jessica! I actually just recently found it in my pile, I need to figure out when I want to add that to a rotation. I checked out Book of Boy this summer, thumbed through it, but nothing caught my attention. It sounds like it's a book some people love, and the rest are just eh about it. I did enjoy The Book of Boy, but kept imagining which of my students would have liked reading it. It is for a narrow audience, I agree. Rescue and Jessica told a good story. Thanks, Michele. 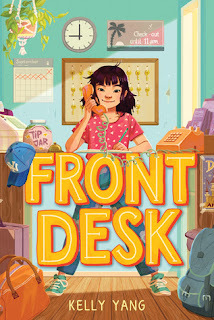 I've been reading so many rave reviews about Front Desk - I have a feeling I should find it soonest - it does fit our #WomenReadWomen2019 reading theme, I just have to get around to hunting it down in our library and reading it finally! :) Rescue and Jessica also looks like a must-find. Have a great reading week, dear Linda, and here's hoping winter isn't too bad where you are now. Thanks, Myra, it's 0 degrees this morning & schools are closed, but that will pass! Enjoy those two books when you can. Yes, Front Desk fits your theme, I think.